So here is where we are staying. And this is a post about it. Okay, so we have been here all of like 2 days. But I am in love. I have never stayed anywhere like this. I mean, Embassy Suites hotels are swanky with plenty of room but this place? Let me count the ways I love her. We are getting IHG Rewards points for staying here. I love earning free nights! Breakfast SEVEN DAYS A WEEK included. And we are talking about amazing things, not just cereal and a bagel, friends. Like PROTEIN (my mother will be happy) and a zillion other choices. 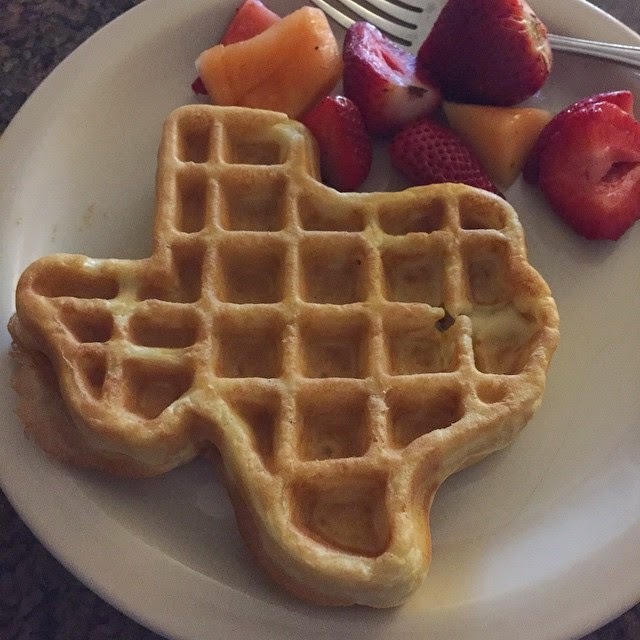 Yesterday was canteloupe/strawberries, cheesy eggs, tater tots, bacon, biscuits and gravy then all the other toppings for eggs and Texas-shaped waffles and more. Today is pineapple/grapes, mini omelettes, potatoes and sausage. Dinner THREE NIGHTS A WEEK ... full dinner including dessert. And Ping asking my kids what they would like to drink and bringing them cookies. I love her. Last night was balsamic chicken, rice, corn, Caesar salad. Magnificent! Super sweet front desk staff. I am trying to get the one I love the most to call me KERRIE but she calls me Mrs. McLoughlin and I am starting to like it. Nobody is on our butts about our kids. Don't wear shoes? They don't care. Head from pool to room in swimsuit? Whatever. Movie theatre room with 8 huge, comfy seats. We can grab a RedBox and head in there and watch a movie. I'm thinking the new Annie would be a good choice. Fitness center with TVs and tons of equipment. 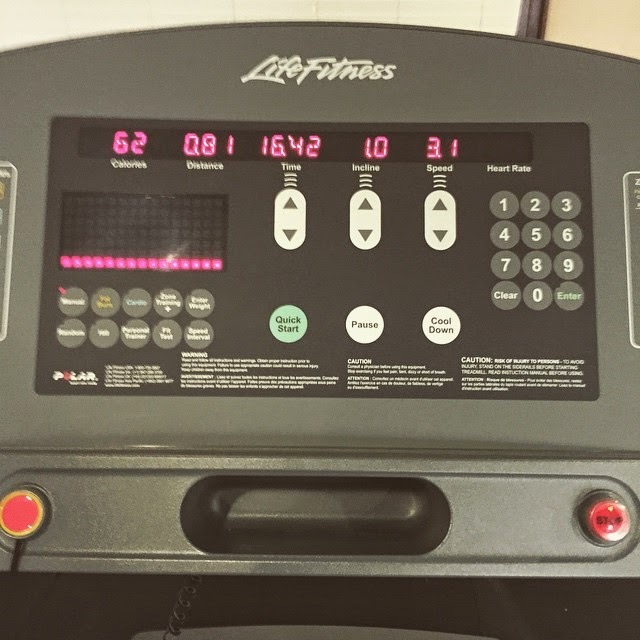 Last night I got to treadmill for 30 minutes! 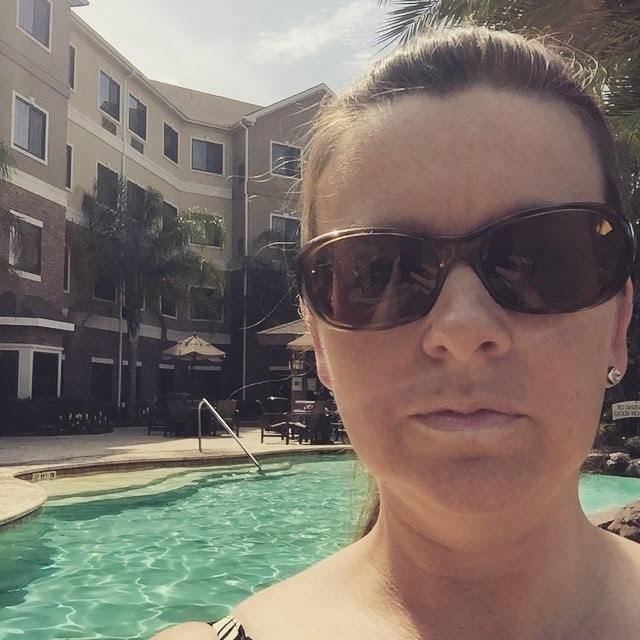 Pool/hot tub area is amazing and I THINK I was able to relax for two whole minutes yesterday! Now we get down to the nitty gritty, folks. TWO bedrooms with DOORS and TWO bathrooms with DOORS. For real. I am not lying here. Plus kitchen and living room. Three TVs. It's crazy. 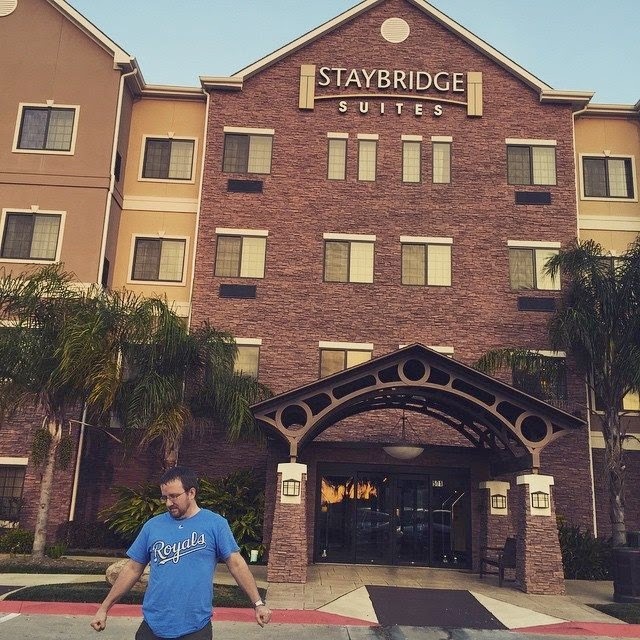 Tons of pillows, plenty of towels, comfy beds, two desks, WiFi, plenty of parking and the location is close to everything you need so you can avoid that blasted highway. I'll let you know how Houston driving goes later! FREE LAUNDRY FACILITIES. Bring your own soap and Bounce. When we stay at Embassy Suites and turn on the TV, we get to see a lovely ad for their porny channel that people can order. Sorry, but I don't love it when my kids see that. Is it really necessary to advertise to CHILDREN that it exists? 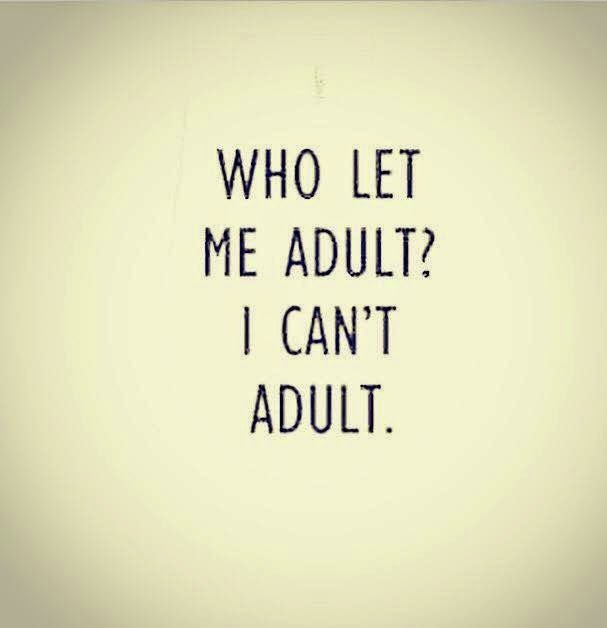 Adults are gonna seek it out if they really want to anyway. So I appreciate turning on the TV here at Staybridge without anything smarmy being on. Check the TEXAS category for all the Texas fun we are having here in 2015! P.S. The only drawback I found was that the only kid station is Nickelodeon, so my kids are dying at night for some Disney or Cartoon Network. But, really, who cares? 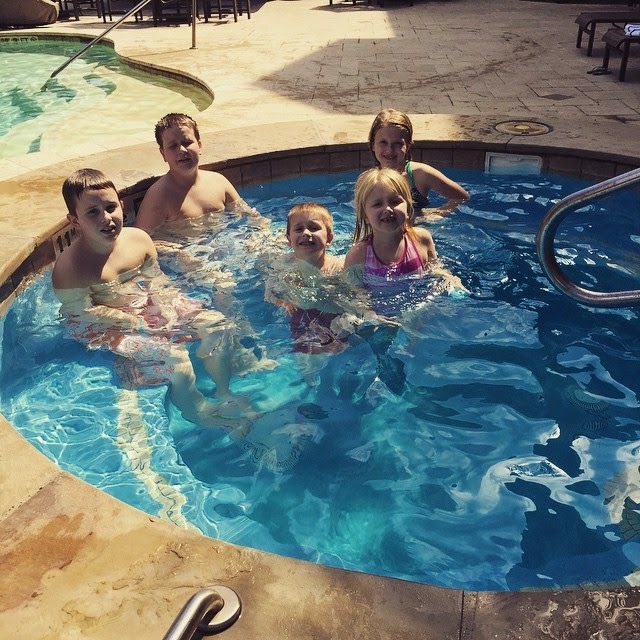 They have the pool and tons to do around the place so it's fine.